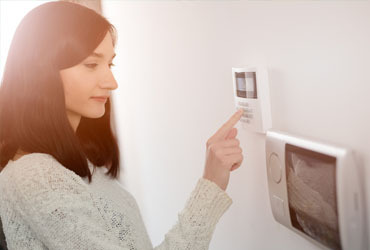 Home security is a worry for everyone, and while you may have the best door locks in the market an alarm system in place and great big dogs guarding your residence, there are several improvements and tips for keeping your home secure. Statistics taken from the crime prevention website show there were over 450,000 burglaries last year, and that with almost 70% of these, entry was gained from either the front or back door. Whilst the following tips and suggestions won’t provide the level of security in place at Fort Knox they will help secure your home and prevent a burglary. 1) Install security cameras at both the front and back doors, even dummy camera casings with a flashing LED are proven to reduce crime, so if you can’t afford the real thing, or simply don’t want to go to the length of full surveillance system installation and setup then decoy security cameras are a great option for you. 2) Doors from your garage into your home should be treated like an exterior door. Ensure they are locked using a mortice door lock and deadlocks at all times. 3) If you have external sliding doors on your conservatory, summer room or anywhere else in your home then not only ensure the door lock is locked, but also place a rod behind the door. Avoid using steel rods as these can be lifted out of place with strong magnets, use wooden or aluminium rods which will provide enough resistance that the burglar gives up and moves on. 4) Don’t overdo your front door security, usually a deterrent along with your door lock is enough to keep burglars out, besides it is important that emergency service personnel can gain access if and when necessary. 5) Displaying a ‘Neighbourhood Watch’ sticker in your front and back door windows is a great deterrent. The circular yellow and black stickers that cost less than £1 are proven to reduce break-ins. 6) Speak to your neighbours and find out what security systems and solutions they have in place. Almost all professional thieves will study the homes in your area and choose the least secure, as of course they are the easiest targets. 7) Keep your valuables out of sight and where possible move high-value items out of view from your windows and doors. Keeping your home contents looking less attractive in value than homes nearby will also reduce the likelihood of a break-in. 8) As simple as it sounds, making sure you have outdoor lights such as porch or security lighting is recommended. Burglars like the dark, so the more light the better. 9) Never leave a spare set of keys hidden under a plant pot, doormat or anywhere else for that matter, if you must leave a key for someone to use, then try asking a trusted neighbour instead. 10) No matter how secure your door locks are, there purpose is to be locked. There’s no point in a lock if it isn’t used and it’s surprising just how many people either forget or just too lazy to use them. A great product that improves front door security are digital door viewers, read our article featuring the top 3 digital door viewers.